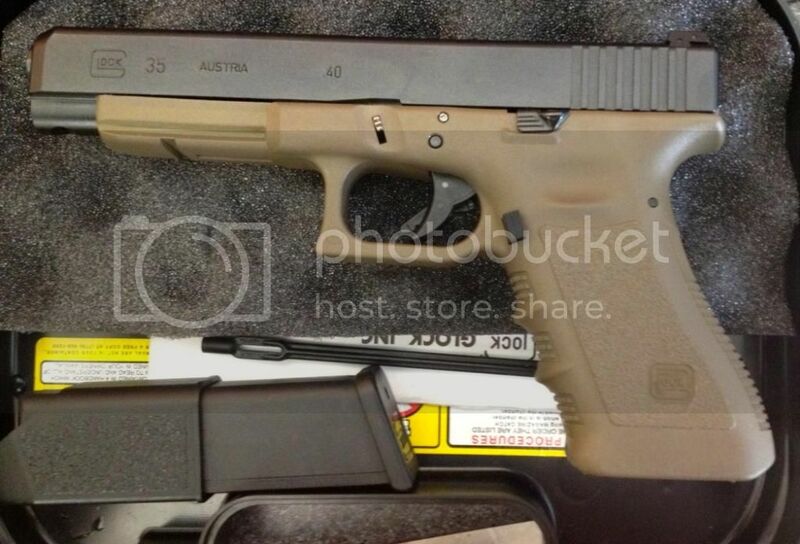 This is a near new condition, unmolested OD (Glock's version, closer to FDE if you ask me) comes exactly as it did from factory less 1 mag (only 1 mag included) I got this to complete a trade and really have no use for it. I've got 2 other 35's that I hardly shoot any more and really don't need a 3rd. Judging by the typical wear spots and what I was told this has ~ 200rds through it, less than 500 for sure. It was pretty dirty when I got it so I broke it down completely and ran all the small parts through the ultrasonic cleaner, cleaned everything else with Fire Clean then reassembled and gave all surfaces a light coat of Frog Lube to pack away. 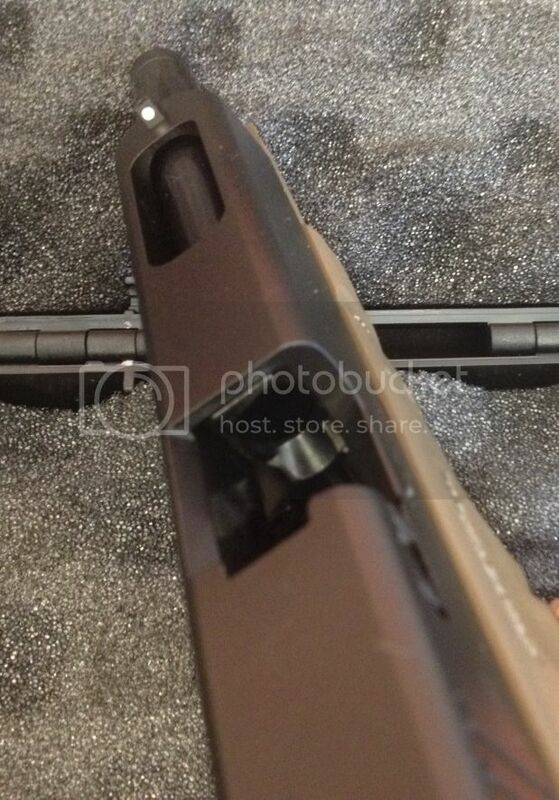 All internals are stock Glock but the proper areas have been polished for smooth function. 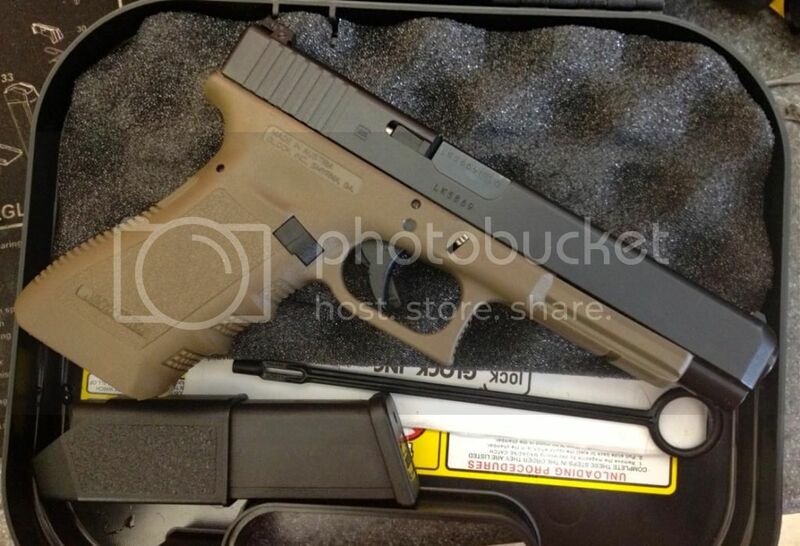 Not really much more to say, it's a Glock, it's a desirable model/color etc.